You'll Swear These Knuckles Are 150 Years Old! During the Civil War, violent crime increased dramatically in New York City. Nearly 2,000 people were killed in the 1863 Draft Riots that burned lower Manhattan to the ground. The newly formed Metropolitan Police Department was made up of 300 raw recruits with no training or experience. 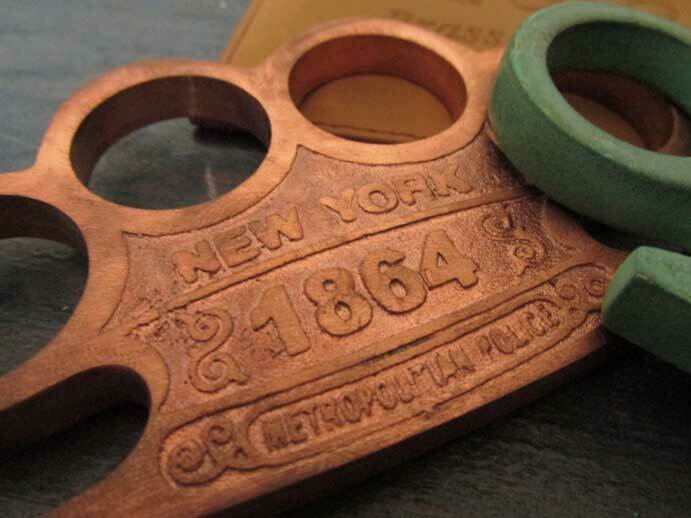 They broke up fights and busted street gangsters with nothing more then their iron guts and their newly issued 1864 NEW YORK COPPER KNUCKLES™. Now you can own a replica of these knuckles exactly as they were issued to police officers in 1864! The natural copper patina changes beautifully over time. For the first time ever you can own history's most famous knuckles. Never before has a historical replica of this kind been available for purchase and at an unbelievable price! Hollywood production companies will pay over $2,000 each for custom made reproductions of these legendary knuckles to use in feature films and T.V. shows. 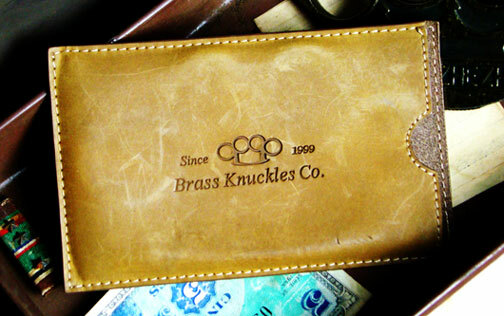 Now you can be one of the very few collector's who can say they own the infamous 1864 NEW YORK COPPER KNUCKLES™. *As seen in Martin Scorsese’s film Gangs of New York and the BBC's television show Copper. This is a very limited custom production run. That means this may will be your only chance to own a historically accurate replica of the 1864 NEW YORK COPPER KNUCKLES™ cast in 100% solid copper as issued by the New York Metropolitan Police to its officers in 1864. This is likely to be a coveted collector's item in years to come. You don't have accept a fake antique finish that you'd see on a toy. Since your 1864 NEW YORK COPPER KNUCKLES™ are made of 100% solid, unfinished copper they will develop a beautiful green patina as it oxidize over time just like the statue of liberty. Why? Because they are cast from the same type of high-grade monument-quality copper that is used to make statues, plaques and historical markers. After just a few months you'll swear your knuckles are 150 years old! This fully functional historical replica will last for generations to come. Hi BKC! I just received my package and I am thrilled. All the items arrived with no problem ( I live in Toronto Canada so customs obviously was not an issue) and all of my knuckles are exactly as described on the website. Beautifully made and will certainly last a lifetime...I plan to bequeath them to someone in my will!! Thanks so much for your excellent customer service and fabulous products! I will certainly order from you again in the future. I bought these as a collectable and I got to say, they look the business and have a nice chunky weight to them. BKC delivered to the UK in what I think was a quicker time than some UK companies! Absolutely brilliant company and I will definitely be ordering from them again. These are heavy, and appear well made. The edges of the finger holes were still a little sharp, but it was obvious that there was quite a bit of Hand smoothing and polish that had gone in these before they shipped. Great Value, will probably by more and give them to my guy friends as gifts. These are the shiznit. They are very nice and I am sure they will only get better with get better as they develop a nice patina. They even fit my fat fingers. What a great piece of history. A reminder of a time when men were men and women were glad of it. Thanks for these, they make a great addition to my collection.